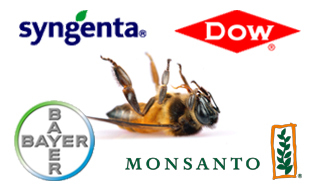 Noted Gee there is another surprise what is wrong with these companies, the killers of the planet. We�ve sent your message to Administrator McCarthy, telling her to impose an immediate moratorium on the use of bee-killing pesticides. Thanks Nancy. Signed and noted. Signed > We�ve sent your message to Administrator McCarthy, telling her to impose an immediate moratorium on the use of bee-killing pesticides. Without the bees human collapse disorder will soon follow. You would think that more would care.Where is the heart of humanity? signed.. ty Nancy. Thanks for Defending Bees! done. You are all looking at the wrong thing here. The biggest cause of this is the Soybean Aphid which got here from China about 15 years ago. Due to their explosive population tendencies they are a must be controlled insect, so they must be sprayed with an insecticide when they reach 250 per plant because in a few days they could be near 2000 per plant and end up killing it which in turn would increase food prices. The best solution we have to solve this is to make soybeans resistant to the soybean aphid so we won't have to spray for the aphid in the first place. On another note, all the cities spraying for mosquitoes are also putting pressure on the bee population. Farmers don't want to kill bee's, they are a huge benefit, so anyone thinking that we don't care, go find something else to do.... We know what needs to be done, but just waiting for the seed companies to come up with the solution. Though I know the trade names of the class of chemicals here, I have not used them because i don't feel they work very well, There is another A.I. that works better against soil borne pests, prefer to deal with foliar loving insects as becomes necessary with a pyrethroid. Signed ! Thank you, nancy. Message sent. Noted. Thanks, Nancy.